When I was younger, I had several dental procedures that went from regular cleaning to tooth fillings and major tooth extractions. I think I had all my molars filled in my earlier years due to poor brushing habits and dental caries. Good thing I did not end up getting a root canal. After college, I also suffered from tooth decay and gingivitis mainly caused by plaque buildup, and I wouldn't want that to happen again! As a parent, my non-negotiable from the kids is brushing their teeth and a visit to the dentist at least once a year. Thanks to Christine Dychiao of Manila Fashion Observer for nominating me to share this advocacy from Oral-B and Smile Pilipinas with you, and also learn from my experience. With #SmilePilipinas, we want all Filipinos to have healthy smiles by practicing proper oral care. Ideally, we have to visit the dentist at least every six months on top of brushing two to three times a day. But during my time, oral care was not a priority. Mas naaalala ang medical check-up. Wala rin mga specially designed toothbrush before. I also remember not going to the dentist for almost three years! It led to weak gums where I experienced occasional bleeding while I brush. Gingivitis na pala and puro plaque build up na yung teeth ko which caused tooth decay. Plaque build-up is the root cause of tooth decay. Plaque is that thick, yellowish layer around and in between teeth. Now that I have kids of my own, my challenge is to be an example to them and teach my kids how to practice good oral health. 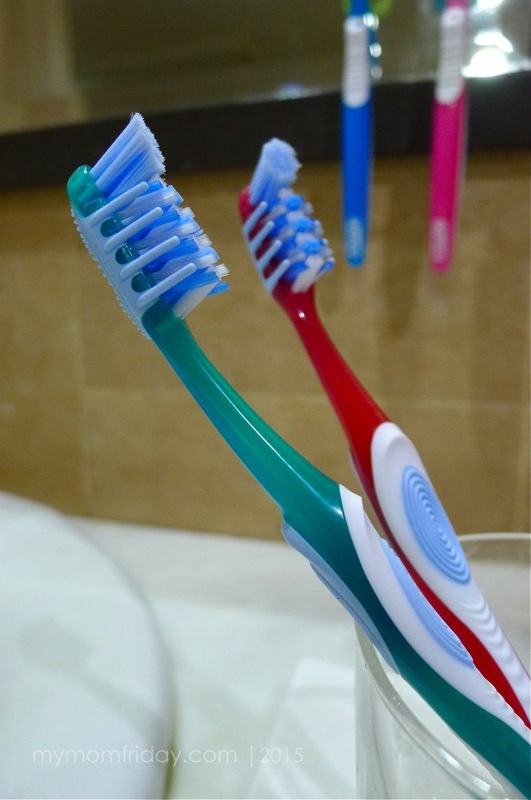 While the boy and the girl follow their routine when it comes to brushing time, our main concern is really the way they brush their teeth. Based on my past and present experience, I developed plaque on my molars and even behind my two front teeth! There were episodes of tooth aches too. This only goes to show that I was not able to brush my teeth properly. Our family dentist recommended different types of toothbrush for our different dental state. Last year, my kids came across Oral-B Pro-Health Cross Action toothbrush at the grocery and the boy actually read the features on the packaging before deciding on the toothbrush. He picked up two sets for all of us. It was just what I needed. I wanted an angled toothbrush that can effectively reach the back of my teeth where plaque starts to build up since it's really hard to reach. It was a welcome surprise that my kids were being proactive in taking care of their teeth -- not like me when I was their age. They know the consequence of poor oral health, kaya takot din sila! =) I wouldn't want them to experience what I've been through. Choosing the right toothbrush like Oral-B Pro-Health Cross Action is a good first step in oral care. This is really what my family is using para sweet smiles all the way. Kulang na lang sa practice yung proper way and longer time in brushing. 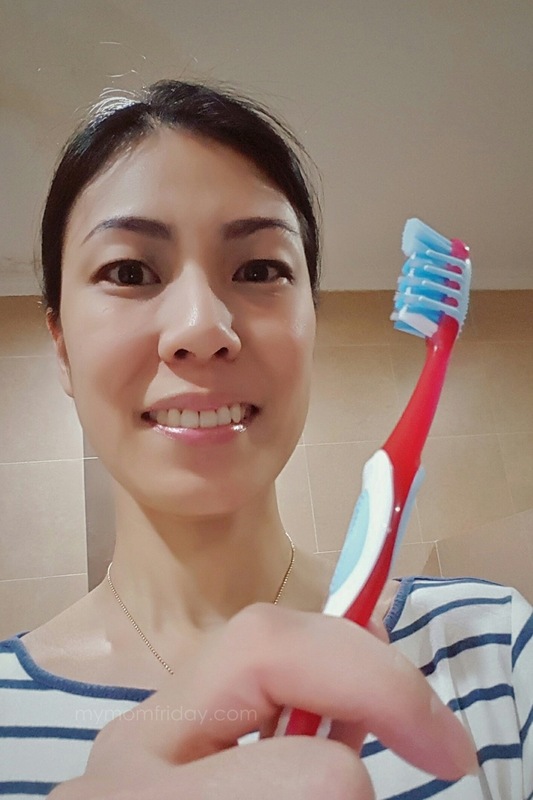 While we're on the topic, I would like to nominate my friend Jackie Go to share her own oral health experience so we can also learn from her. I'm thankful and happy to be on board with #SmilePilipinas and Oral-B for this campaign. 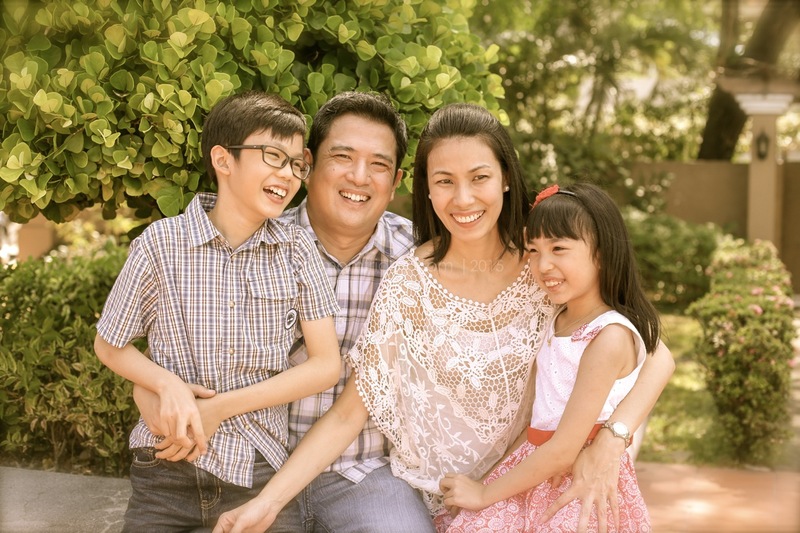 I wish for all Filipinos to practice good oral hygiene and to start them young. This will allow us to continue to face the world with big healthy smiles, always!